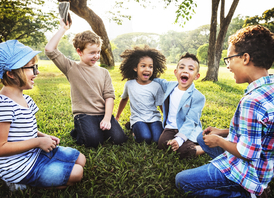 At Oldham County Pediatrics, we are committed to providing comprehensive medical care to children and adolescents ina caring and supportive environment. Our physicians serve as primary care providers for children from birth until college years. Proper health care is vital to your child's overall development and well being. The doctor-patient-family relationship is very important to us. It is our aim to play an integral role in helping your child achieve his or her full potential. We are dedicated to serve as a medical home where our patients can receive their complete care and treatment. This includes a holistic approach to medical care, including advice on nutrition, behavior, diseases and accident prevention. We strive to treat our children and parents as if they were our own. We have two offices to better serve your family in LaGrange and Louisville. We provide well and sick appointments at both locations. On our website you will find information about our practice, directions to our office, and other helpful information.